Over 100k in updates! Extremely well maintained Murray Franklyn resale on quiet Cul-de-sac. 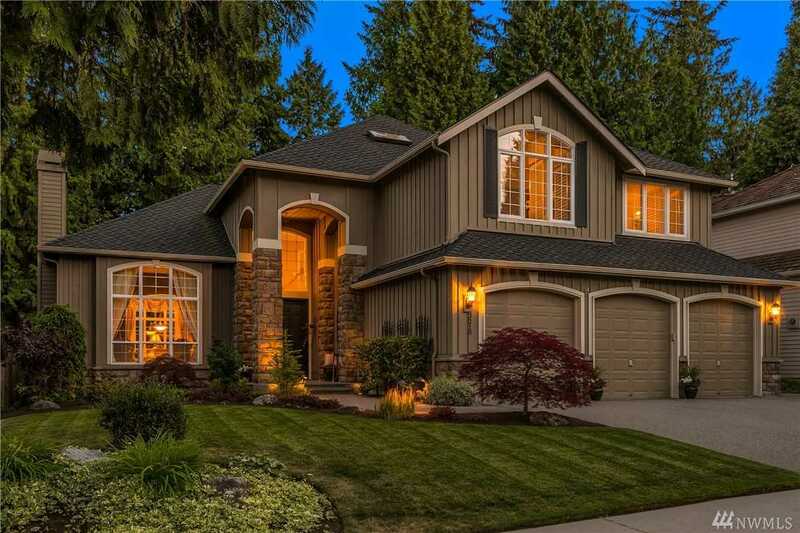 Inviting & vaulted entry w/ formal living & dinning rooms. Gorgeous refinished hardwood floors, updated light fixtures, stainless steel appliances, & custom plantation shutters throughout. Large office on main or use as 5th bedroom. Elegant stairway to 2nd floor Master suite w/ 5 piece bath, walk in closet, seating area & 3 oversized bedrooms. Large patio, water feature, low voltage lighting & landscaping Directions: East on 164th St SE. 164th St SE turns to seattle hill rd, Right on 32nd AVE SE in to THE PARKS follow straight, Left on 156th PL SE 2nd home on your right.